The practices millions of Westerners now turn to for alternative health and wellness therapies were intentionally eradicated from parts of India to the point that lineages were broken and thousand-year-old traditions lost. As an Indian woman living in the U.S. I've often felt uncomfortable in many yoga spaces. At times, such as when I take a $25.00 yoga class by a well-known teacher who wants to "expose us to the culture by chanting Om to start class," and her studio hangs the Om symbol in the wrong direction, my culture is being stripped of its meaning and sold back to me in forms that feel humiliating at best and dehumanizing at worst. It took me going to India to really connect with the roots I was seeking on the mat in yoga studios. As I walked the streets of Shimla's legendary markets, I learned that Indians had been forbidden to tread the main thoroughfares. It was here that I started to apprehend the true meaning of colonization. Yoga and Ayurveda were legally and de facto banned in India under British rule and colonization. Now, when so much of what the Western world sees as true yoga is beautifully achieved physical postures (accomplished, photographed and displayed by popular yoga magazines, journals and sites) executed by mostly young, white, stylish-yoga-apparel clad women and men, yoga is going through a second colonization. This colonization is the misrepresentation of yoga's intention, its many limbs, and its aims. Yoga is not now, nor has it ever been, a practice aimed at physical mastery for its own sake. Nor is it a practice aimed at "stress reduction" so we can function as better producers and consumers in a capitalist society. Yoga was originally intended to prepare the body as a foundation for unity with the spirit. The limb of asana aims at strengthening the body. Asana, along with dhyana or meditation, aim to harmonize body with breath in order to attain deeper and deeper states of meditative awareness or samadhi. The purpose of this kind of meditative awareness is to experience, practice, and live oneness of mind, body and soul with the divine. This kind of freedom is called samadhi or liberation. It is ironic that practice meant to free us has becoming so confining. If someone from the dominant culture completes a yoga teacher training that is primarily asana based, and remains blissfully unaware of the complexity of yoga's true aim or the roots of the practices, they are culturally appropriating yoga. By remaining unaware of the history, roots, complexity and challenges of the heritage from which yoga springs and the challenges it has faced under Western culture, they perpetuate a re-colonization of it by stripping its essence away. Now, this is not to say that there can't be some true, heartfelt and deep liberation possible. Or that only Indians can practice or teach yoga and white people can't. There can be authentic cultural exchange, harmony and understanding. Clearly, since the true aim of the practice of yoga is liberation, uniting mind, body and spirit, this form should not limit us. Liberation here, is no joke. Yoga means liberation from every construct, including that of race, gender, time, space, location, identity and even history herself. However, in the current cultural context where there is a billion-dollar industry profiting off taking yoga out of context, branding and repackaging it for monetary gain we need to address this. Or else we perpetuate a second colonization, e.g., eventually eradicating the true practice, as was accomplished in many places under Britain's occupation of India, and we stray further on the path of maya, or illusion. As practitioners of yoga I would love to see more of us citing cultural references as we attempt to understand and connect with the complexity, culture and history from which this tradition comes. I'm not suggesting people put on a watered down, context-removed faux Hinduism. To me that is not the answer. Commitment to deep practice, questioning and learning is, perhaps, part of the answer. These tensions ask us to bring all of ourselves to the table. So what I am suggesting is for us to decolonize yoga we need to inquire deeply. We each have our unique story and gifts to share as do all the practitioners we teach or learn from. Let's ask ourselves, "For whom is yoga accessible today and how might that be a legacy of past injustices that we have the opportunity to address through our teaching practice and our lives?" 4. Live, know, share and practice all eight limbs of yoga, not just asana. 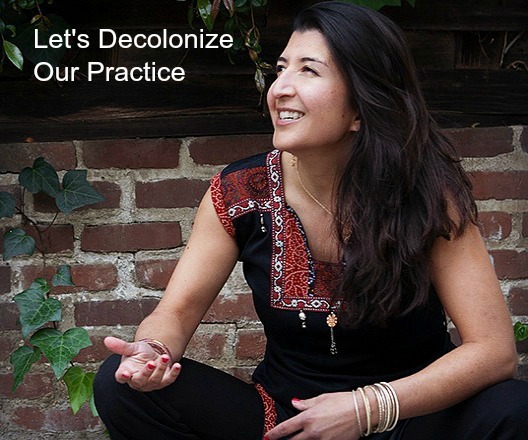 We can also decolonize yoga by studying the depth of practice beyond the postures. 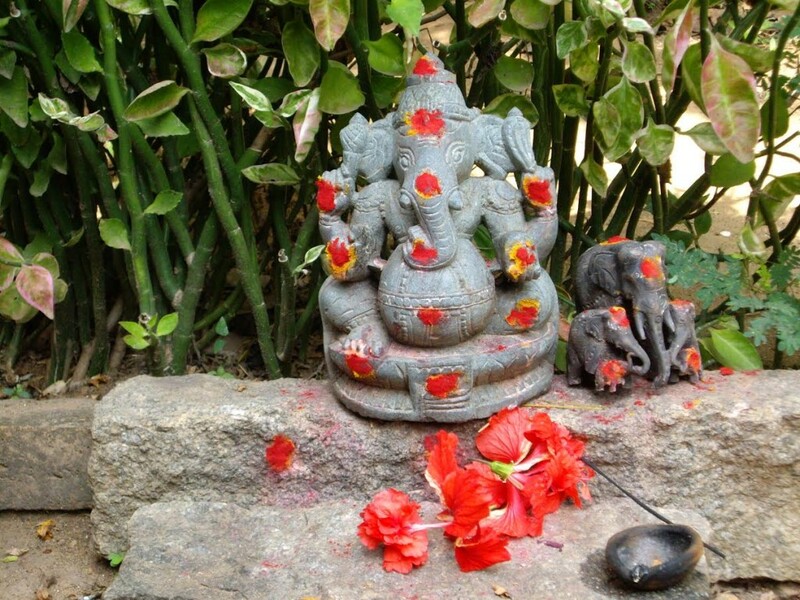 In addition to asana we need to understand, practice and teach all eight limbs of yoga: yama or ethical conduct, niyama or personal practice, pranayama or working with the breath, pratyahara awareness of the senses, dharana, meditation, concentration and insight, dhyana or being present with whatever arises and samadhi, or interconnection with all that is. 5. Be humble and honor your own and other people's journey. When we humbly and respectfully consider yoga's history, context, many branches and practices we give ourselves a fighting chance achieving yoga's aim of enlightenment of mind, body and spirit. By really engaging the full, whole and multifaceted face of yoga we not only liberate ourselves but we may just overthrow this 2nd colonization of yoga, freeing ourselves as well as the yoga practitioners of the future to experience the full, liberatory, authentic and true practice of yoga. We allow our own practice to grow and our gifts to really shine. With mutual understanding, respect, and a deep reverence and caring for the history, we can decolonize ourselves, the yoga-industrial complex, and stage our own ahimsa, or nonviolent revolution of the mind, body and spirit.